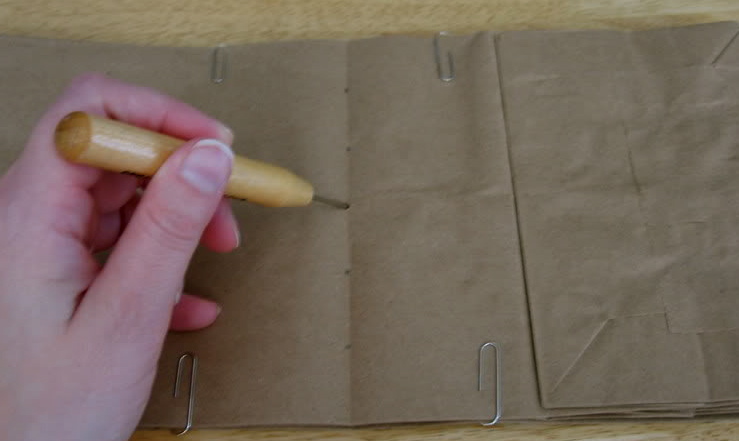 A few years ago, my aunt taught me how to make an art journal out of brown paper bags. She is an incredibly artistic person who always inspires me to be creative and try new things. I’ve made more than a few paper bag journals since, but one stands out as my favorite – an art journal dedicated to travel quotations. I thought it might be fun to share the process of the project from start to finish. Over the next few weeks, I’ll be posting some of my favorite pages and techniques. I am by no means an expert, but I do enjoy creating and inspiring others to do the same. 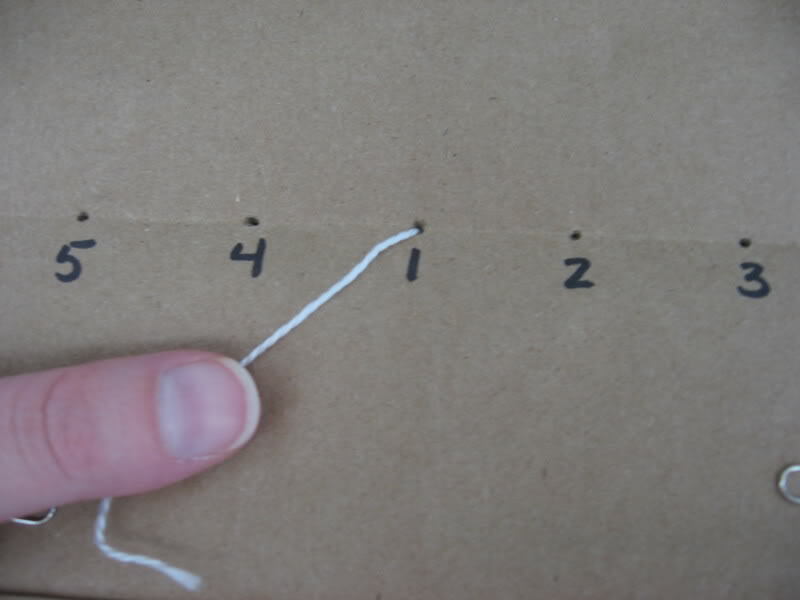 The construction of the book is pretty simple and only requires a few supplies. Step 1: Gather four brown bags and fold them in half. Stack them so that the open (top) and closed (bottom) ends alternate. When the book is complete, the open ends double as pages and pockets. 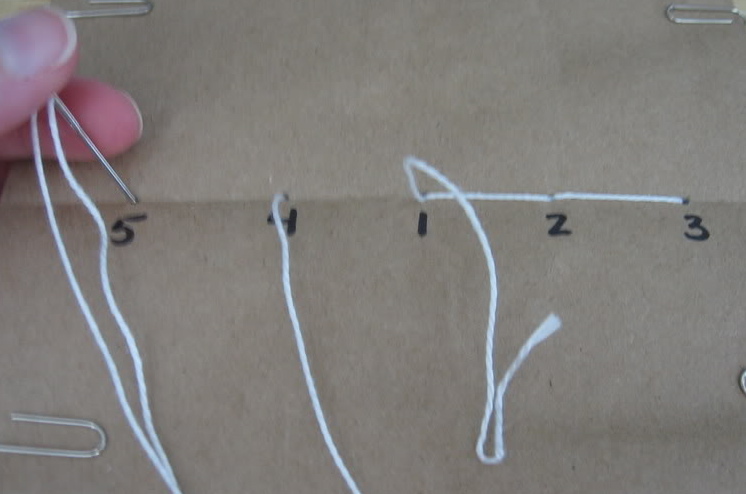 Step 2: Poke five evenly spaced holes on the fold line. 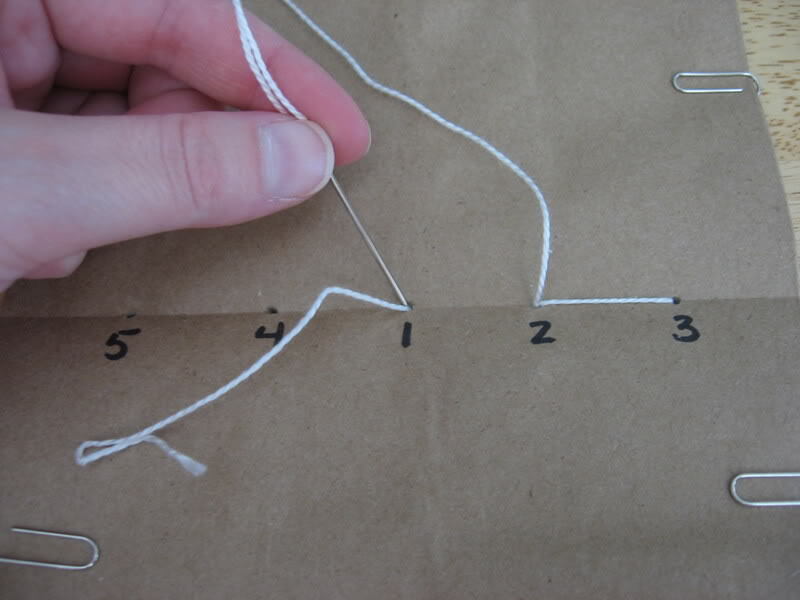 Down through #1 and leave a long tail of thread. Either tack it in place or hold it with your thumb. Back up through #2 and down again through #1. Hold onto that tail! 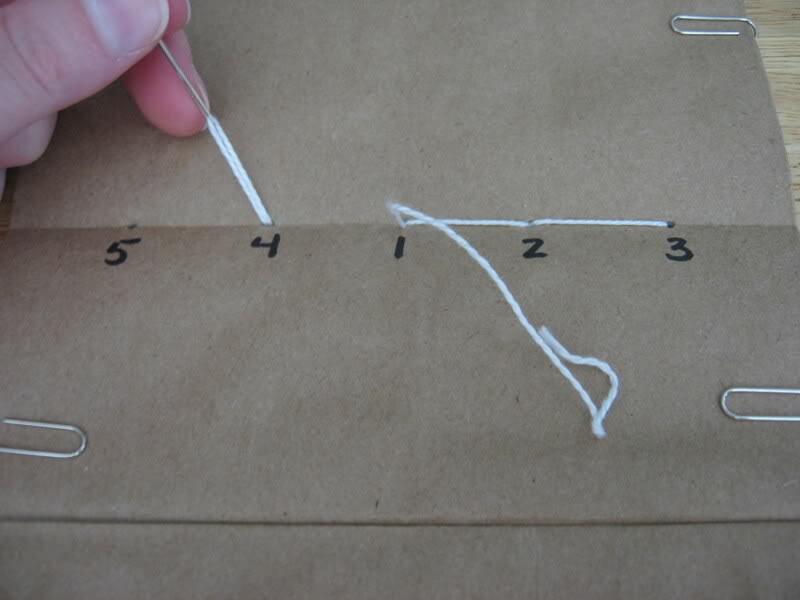 Grab the tail coming out of #1 and the tail coming out of #4 and tie them together with a good knot. All done! 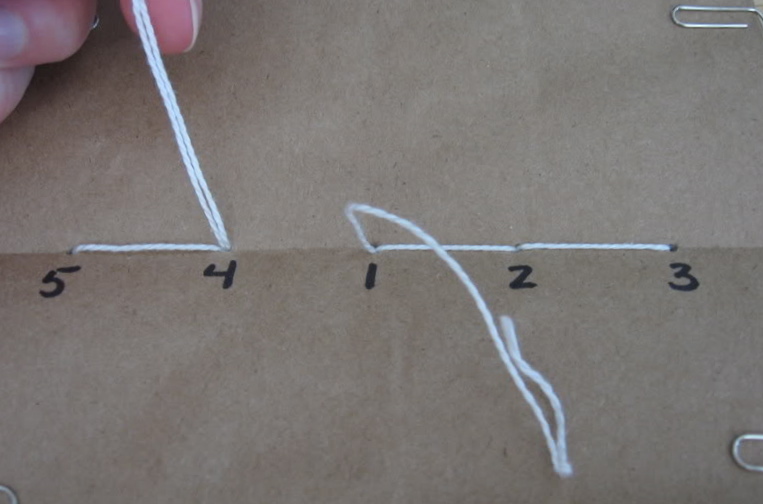 You’ve got a hand-stitched book! Usually, I save the cover for last, but the idea came so quickly I had to act! The cover is constructed in three layers of paper collage and embellishments. Layer 1: I cut out a square of black card stock so I could mount a collage of postage stamps from around the world. Most craft and hobby stores sell bulk bags of stamps for around $6.00. To add some sheen, I used some gold nail polish to paint a thin coat over a few of the stamps. It’s a subtle touch that gives the stamps a little ooomph. Layer 2: I took some gold thread and wrapped it around the entire square at a variety of angles. I didn’t plan the route of any thread, I just let them land where they may. 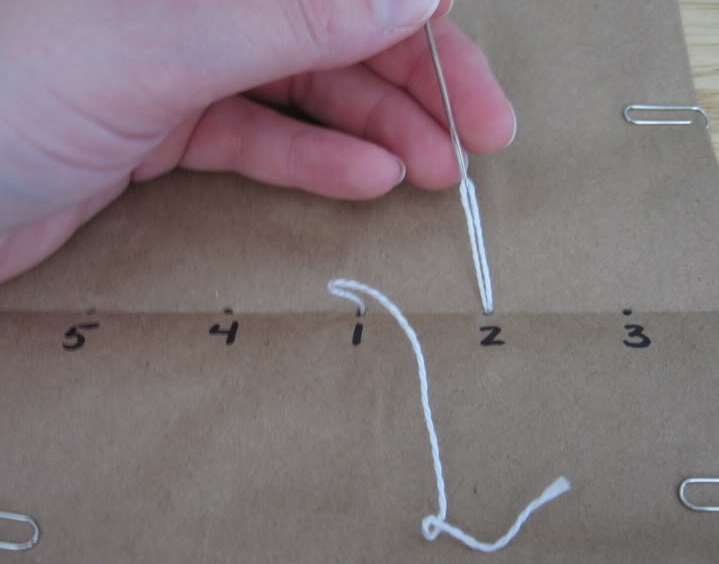 At multiple points, I taped the thread down on the back to keep it secured in place. Layer 3: I added three textured fibers along the left side. Each strand has a charm, bead, and a word tag at different intervals. I created the word tags with a set of alphabet stamps, ink pad, and eyelets. To give the tags a distressed look, I ripped the edges, crumbled the paper and ran a translucent brown ink pad over the top. After the creating is done, all it takes is a few strips of double-stick tape to attach the collage to the cover of the book. Note: The postal string on the right is simply a tie down so I could get a good photograph. Pages and layout ideas are on the horizon. Stay tuned and stay inspired! Want more creative inspiration? Visit Salmagundi Arts, a fantastic blog about bookbinding, knitting, making handmade soap, and other amazing craft projects. I LOVE this! My students and I are going on a three day field trip to a surfing camp (we’ll also be learning survival techniques) and I think this would be a FANTASTIC activity to do upon their return. 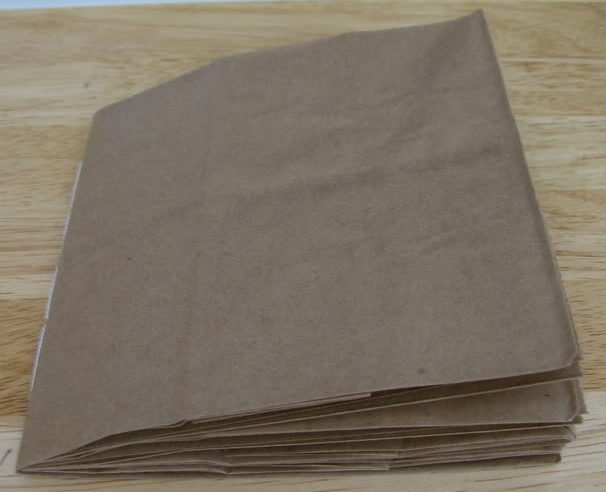 Do you happen to know where I can buy paper bags in bulk? Are these sandwich bags or the large ones? Seriously, GREAT IDEA! It’s a great project for students because its easy and so much fun. I hope they enjoy it! This is great! I’m going to do this with my grandkids! Looking forward to more. I remember seeing this wonderful journal and for you to share the techniques is great. 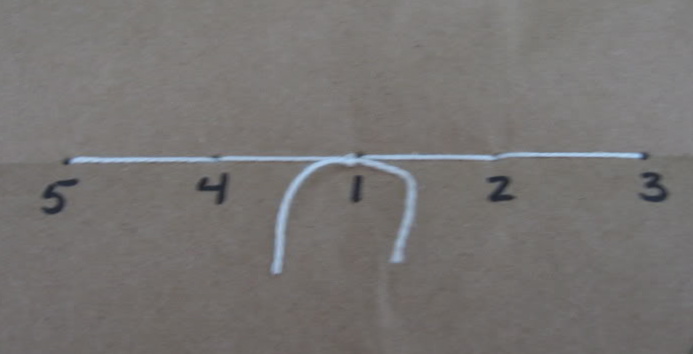 When you describe the steps they seem so simple, yet the end result was stunning. I totally have a bunch of these! I love making them and so do my kids! LOVE this!! Oh my goodness I love this!! Now I want to go buy some paper bags haha 🙂 This may have to be my next art journaling project… I should probably fill the one I’m working on now, but maybe I can find a different use for a paper bag journal 🙂 You are inspiring. Love it soooo much! It is such a cool idea. I know what I’m doing tonight !! I’ve just recently started crafting more and have been doing cards when needed. Your creativity just amazes me! I love seeing what you do and your finished projects so I’ll be the onlooker to this inspiring craft. What a great idea! If you add a little wrap-around tie, this little book is a perfect organizer. 🙂 I love it! I’m busy putting pictures together for the rest of the series. Hopefully each page will inspire you even more! This is fantastic. I’m going to try this myself. 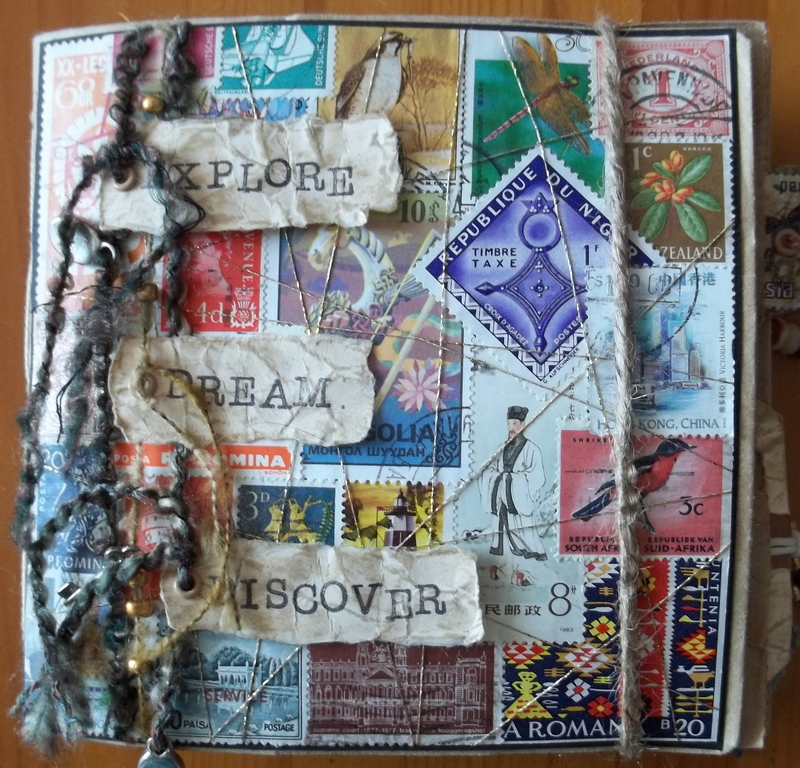 I love handmade books and journals, they’re perfectly imperfect. Great post. Thanks! Normally, I’m nitpicky when it comes to things being straight, but these art journals really taught me the beauty of imperfection. 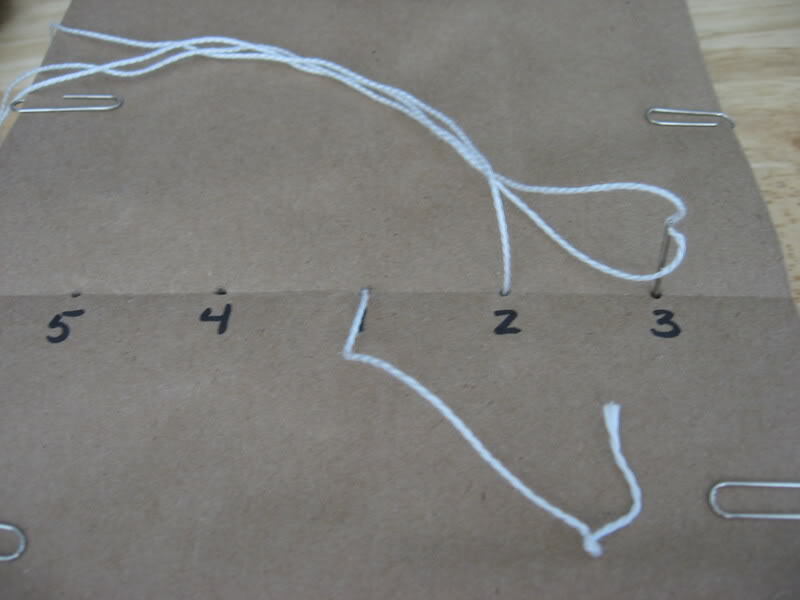 This looks like a project requiring patience… I sense a disaster on the way. Dare I try? 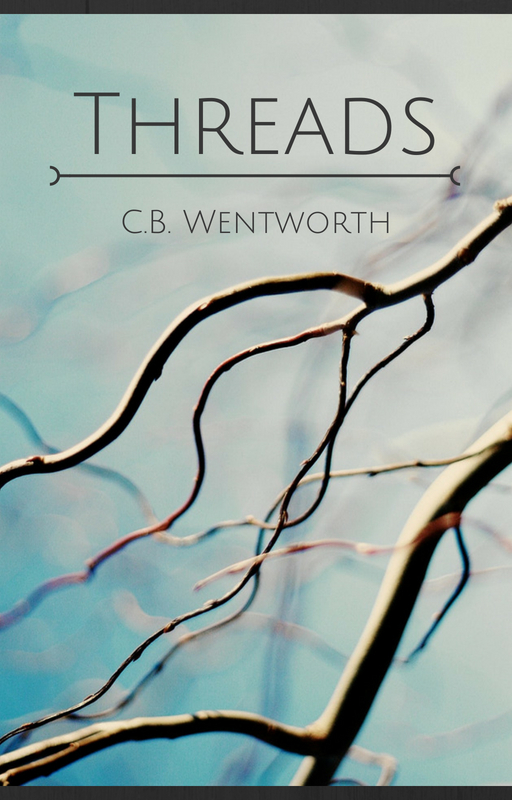 Great post and your book is beautiful. Any of you guys know where I can get a crash course in patience? You should dare to try! Worse case scenario: you end up with four paper bags with holes. This looks fabulous. Am going to do this with my adult daughter soon. looking forward to next installment. It’s definitely more fun to do this project with family or friends. My best friend and I made ours together, so my journal has a lot of great memories attached to it. Just to add to popular opinion, this looks awesome and I cannot wait to see what you’ve done with it. It was painful to leave behind my scrapbook and purpose-designed supplies when I came over to Costa Rica, but it never even occurred to me to try and improvise with from-scratch materials. I ended up buying a notebook and some coloured pencils, but I may well try this idea out. Especially since I took a fantastic bookbinding class back in Edinburgh right before I left and haven’t had a chance to try out my brand new skill over here. I know you’ve gotten lots of response on this post…but I absolutely love it and can’t wait to give this book idea a try!!! Way to go!! Ah! I’ve got to email this one to friends. Very cool! So cool! I’ve been using recycled file folders for my art journal, joining them together with double sided carpet tape. 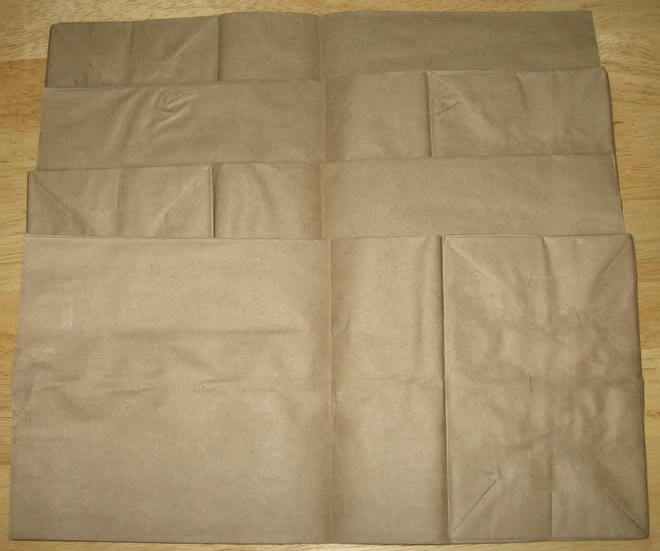 I really like the texture of the paper bags and the instant pockets. I see a new art journal in my future. Wonderful! Reminds me of those brown paper bag book covers we were required to make for all school books. Oops! Dating myself!! Terrific idea. 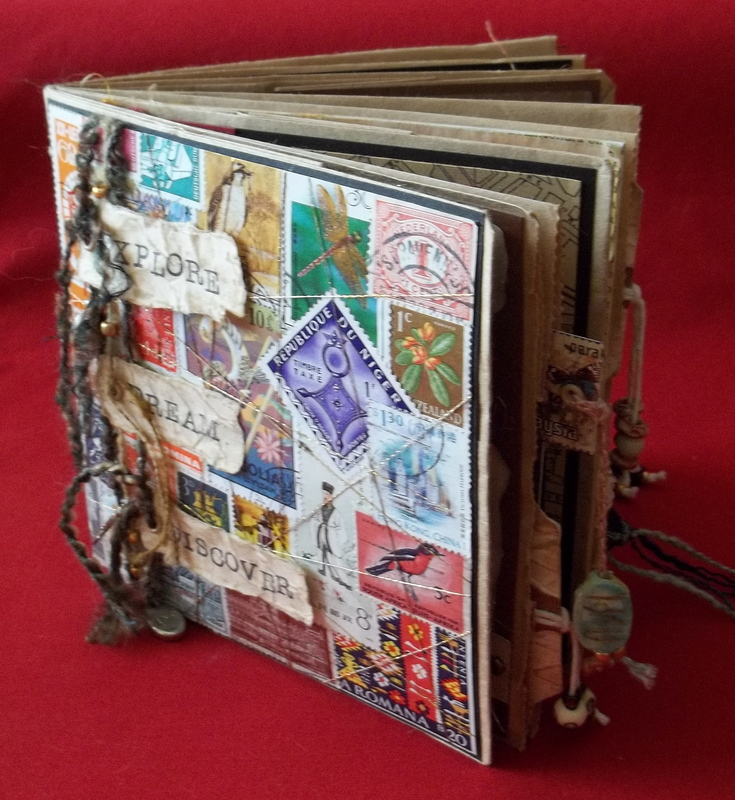 I often bind recycled or upcycled materials and your brown bag book is just a perfect way to do that. 🙂 I love taking things that have one use and giving them a different purpose. Paper bags can do more than just hold lunches!